Miller’s ACE Hardware has been in the hardware business for over 100 years, with the first store in the Pittsburgh area opening in 1889. In 1948, the Ruthfred Shopping Center location opened followed by the 1963 opening of our second store which is now located in Waterdam Commons. Owned and operated by Greg and Chip Gold, Miller’s Ace Hardware continues to operate as a business with a commitment to customer service and satisfaction. Miller’s ACE Hardware is proud of the community that they serve. Miller’s supports the Children’s Miracle Network with multiple donations and fundraising events every year. 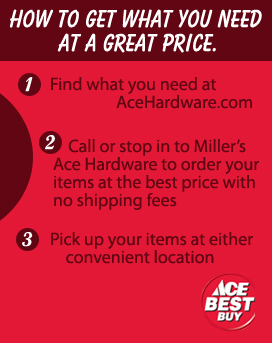 Miller’s ACE Hardware supports all local high school activities and helps local civic organizations with their fundraisers. Employees of Miller’s ACE Hardware have helped children learn about bike safety, helped Girl Scouts earn merit badges, and taught aspects of the retail business to middle school students. 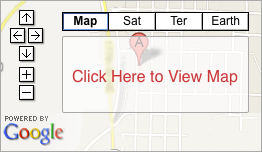 Miller’s ACE Hardware is involved with the local business community by being an active member of the Washington County Chamber of Commerce and the Peters Township Chamber of Commerce.